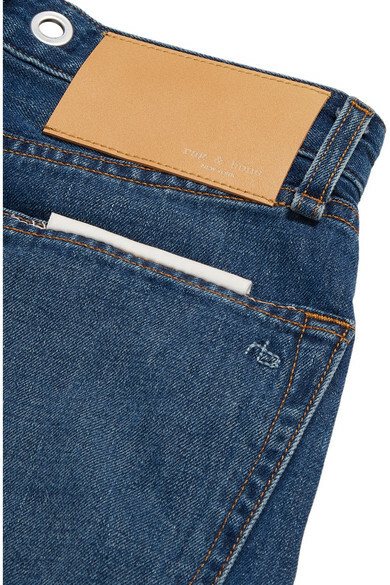 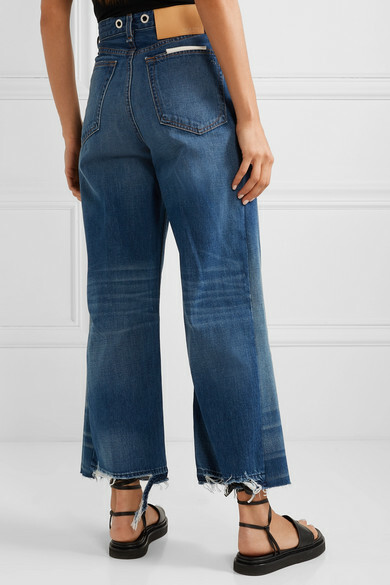 rag & bone's 'Haru' jeans have lightly contrasting gusset sides that not only accentuate the wide-leg shape, but give them a cool re-purposed look. 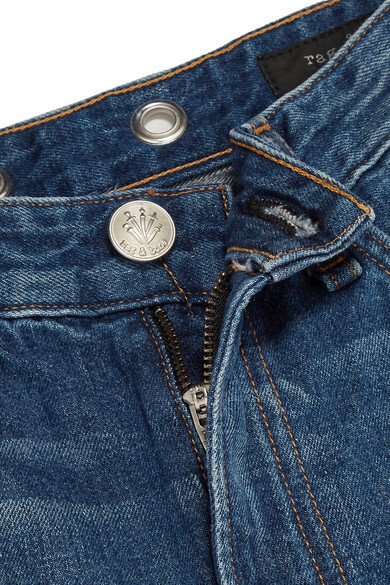 Made from pure denim, they have a high-rise waist detailed with large silver eyelets at the back and distressed cuffs. 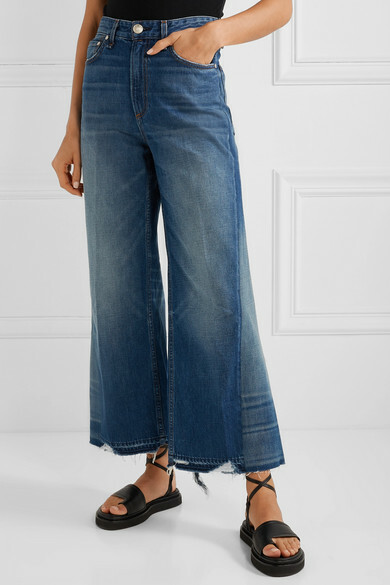 Wear yours with a tucked-in top. 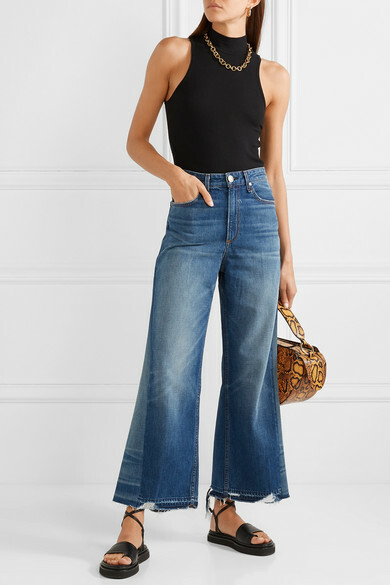 Shown here with: ATM Anthony Thomas Melillo Top, Wandler Shoulder bag, 3.1 Phillip Lim Sandals, Leigh Miller Earrings, Laura Lombardi Necklace.